I feel like lately my blog has been going a little off the track of the 'beauty/fashion' side and i wanted to pull it back onto that path with a review! This is going to be a rather short one today, I hope you enjoy and as always all feedback is appreciated! I'm sorry I haven't made any videos in a while its because I need a decent camera as using my phone to film is really inconvenient. I purchased this concealer as sort on an impulse simply because I wanted to try it, and I have to say i'm very impressed with it. I received a small tester of the matching foundation in a magazine when it was first released and I have to stay i wasn't impressed at all, I felt like it was too orange, far too shimmery and the consistency wasn't up to scratch but the same definitely can't be said about the concealer - because of this i might even consider giving the foundation another go! Consistency - Surprisingly I love the consistency of this, a light, smooth and very liquid like consistency to this means blending is so easy, especially with your fingers, and looks super natural. Coverage - I feel like the coverage on this is great, even though its a light concealer the slight illuminating effect of it means that my dark circles are covered in 1-2 light coats! Finish - Illuminating and bright, I find that it needs to be slightly powdered to remove the harsh glow it seems to have when a strong light hits that area. However the same glow that it has also means the inner corner of your eyes are lightened which helps wake you up - matches the name 'wake me up'. Wear - I hate to say but to all those die hard Collection Concealer lovers I think this one lasts longer! The horror. But it's true, on me personally this concealer stayed put all day without mixing weirdly with the powder I use to set it - something the collection concealer often does to me after a long day. Colour range - Not the best colour range but I don't think any of Rimmel's face products have a good enough colour range, if you're skin is fairly dark olive and on wards I don't think you'll find a colour right for you. Overall I think this concealer has become a staple in my makeup routine and I won't be giving it up any time soon! If any of you guys have tried the matching foundation, what do you think? Is it worth buying? Comment bellow! As promised i'm posting more regularly now! 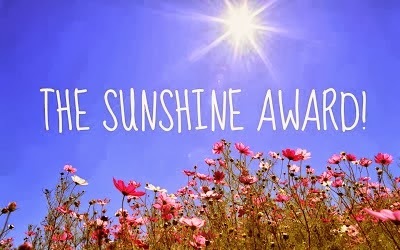 I've been nominated/tagged for the 'Sunshine award' by the lovely Bess at http://daisychainprincess.blogspot.co.uk. The idea is to tag people who add a little sunshine to your newsfeed or life! 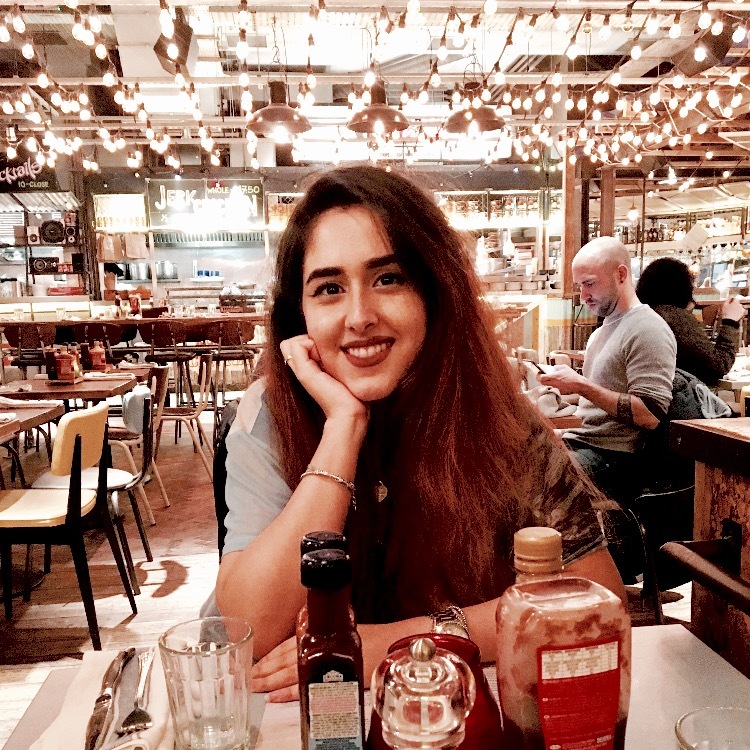 Have a link to the blog of the person who tagged you! I was nicknamed 'Spider' or 'Spida' for around 4 years. My birthday is 6 days before Christmas making me 15 on December 19th. I like to think that i keep to my promises, I take them very seriously. When you make a promise, you keep to it. My hair is at my waist, but it's not always been this way at one point in my life I had a bob and had a fringe for many many years. I have 2 younger siblings who annoy me to the point where I consider murder, but I love them dearly. I really like Doctor who, not a lot of people know this about me but I've always really liked it and I cannot wait for the 50th anniversary because it means i get to see David Tennant on the show again. If anyone has any questions about me or this blog please feel free to comment i'll happily answer them! Whats your favourite flower? Daisies! I absolutely love daisies, i'm not 100% sure why but really love them. Not as flowers to be given in bouquet but they're definitely my favourite none the less. What is the purpose of life for you? Wow this is a big question, I guess to live a life filled with as little regrets as possible, to enjoy every second while it lasts and be surrounded by people you love. Why did you start blogging? I've always enjoyed creating content and writing, but never really been good at writing fiction/stories i'm better at informal style articles/posts and blogging seemed like the perfect way to do this and hopefully, with time, have plenty of lovely readers. What is the meaning behind your URL? This is a really interesting question because I wonder this about a lot of people's URL. Well, The first very person I ever watched on Youtube who did beauty videos was 'Jlovesmac1' this was around 3 years ago before I even had an account on Youtube to follow them, I also began watching videos of a thrifter called 'ThreefeathersVintage' and my name is almost a combination of the two amazing girls who inspired me to start Youtube/Blogs. What is your favourite time of the year? If I HAD to choose it would probably have to be mid to late December, partially because of my birthday but also because I love the Christmassy feeling around that time, when everyone is shopping for loved ones and there's so many presents around, the snow more often then not comes around that time too and I just love that period. Do you wear glasses? Yes, but mainly only at home. I wear contacts when going out. What is the best film you've seen this year? I don't think I can even answer this there's been so many good films out and more yet to come, sorry i'm going to cheat with this one and not answer. Who was your favourite author when you were a child? Definitely, hands down, will have to be Jacqueline Wilson. I realise this is not 11 people however after checking the blogs of people I follow many of them haven't posted in over 2 months and i'm not sure if they are active, but I tag ALL OF YOU to this tag and don't forget to comment the links if you do! If you could only use ONE product for this winter what would it be? Currently what's your favourite TV show? What do you enjoy most about blogging and have you ever thought of stopping? Would you say you like beauty or fashion more? and which one is your blog more about? Who was the first person to inspire you to start a blog? What kinds of posts do you most enjoy making? If you could receive any present this Christmas what would you want and why? Where is the first Country you'd like to visit that you've never been before? Thank you all for reading and I would just like to thank you again for all my amazing followers who have helped me reach over 10,000 views! I know this is nothing for some bloggers but for me this is a huge deal and I wanted to thank you for reading my blog and I hope you stay with me while this blog grows and grows! I love you all.